Recruiting and retaining great talent is critical for an organisation to stay competitive and succeed. Our Talent Management solutions align people’s qualifications, wants, needs, passions and goals to the requirements of the organisation and specific jobs. This innovative approach exceeds general personality testing and other methods. 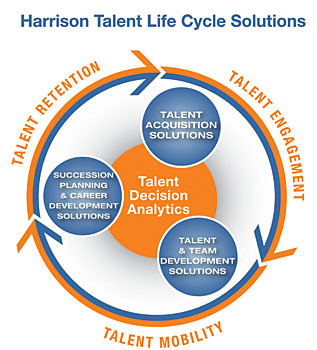 We use Harrison Assessments to provide an unrivalled talent strategy and solution that enables employers to attract, retain and develop employees at all levels while identifying the mutual employment needs of employers and employees. We are partnered with Coach Your Goal who will work with you at every stage in the process to ensure you achieve maximum results. Coach Your Goal is a distributor of Harrison Assessments based in Athlone, County Westmeath, Ireland. This service affiliates with a team of experienced consultants. Click here to learn more about Coach Your Goal.